While I'm not ready to blog about anything specific, I did want to say that we had an absolutely wonderful time on board the Disney Fantasy. It was seriously the most relaxing vacation I've even experienced, full of fun, sun, and lots of food. We were also lucky enough to take a very short mini trip to WDW afterward. All of this amounted to plenty of stuff for me to write about in the coming weeks, and I'm looking forward to doing so. 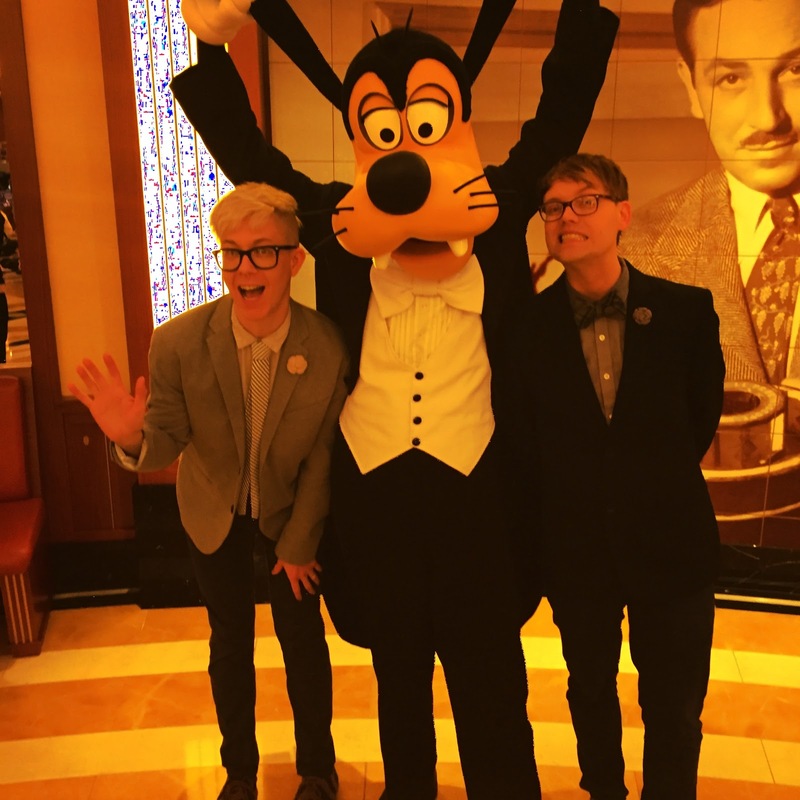 In the mean time enjoy this photo of me and Adam with fancy Goofy.